Beats Pill+ is the first app launched by Apple for iOS and Android simultaneously, targeting users of the Bluetooth speaker with the same name. Although Apple's first app for Android, Move to iOS, did not prove successful, the Cupertino giant is back with another piece of code for this platform. Move to iOS has been rated by over 44,000 Android users and more than 31,000 of them gave it one star out of five, its current rating being 2.0. Although multiple sources mentioned that Apple Music for Android is near, the new app is called Beats Pill+, and its goal is to control the Bluetooth speaker that has been released last month. Apple purchased Dr. Dre's Beats last year, and the Beats Pill+ Bluetooth speaker is the first product launched by the brand after its change of ownership. The Apple Beats Pill+ app is the first one to launch simultaneously on iOS and Android. 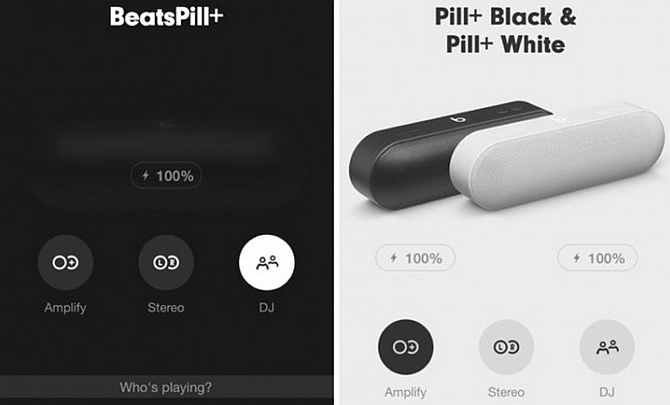 According to the official description, this app can be used "to unlock features that put you and your friends at the center of your music like never before," allowing enhanced control of the Beats Pill+ speakers straight from the Android devices connected to them. The features of the app revolve around using two Beats Pill+ speakers, offering DJ/amplify/stereo capabilities. Apple Beats Pill+ for Android needs version 4.3 or later of the operating system, has been updated to version 1.0.4 on October 29, and has 26 MB in size. Less than 500 people installed it so far and, unfortunately, its rating is 2.1. After 252 user votes, the app received no less than 177 minimum ratings.